Each recipe is loaded with antioxidants, vitamins & minerals your body craves with no artificial sugars. Carefully designed with all-natural, organic seeds, nuts, spices & plant-based superfoods from ingredients you've heard of! we did the mixing & measuring for you! 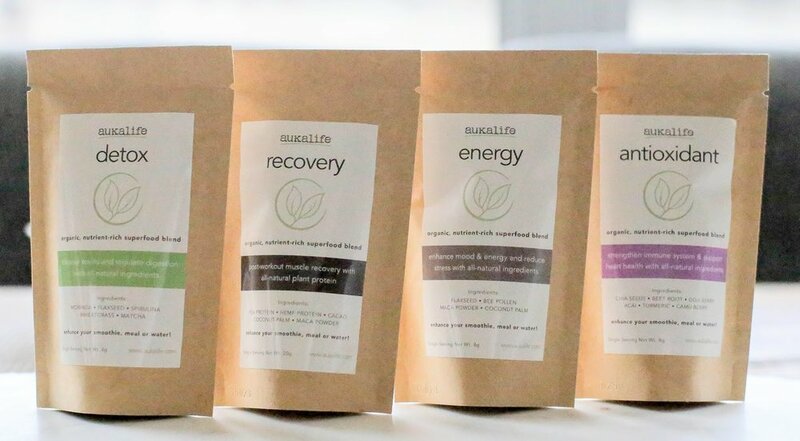 aukalife takes away the hassle of understanding which superfoods are best for you. Easily add to your drink, smoothie, or sprinkle onto your favorite recipe for a quick & convenient nutrient boost.